Modern textured finish topped with a contrast chrome plate. 12 in. 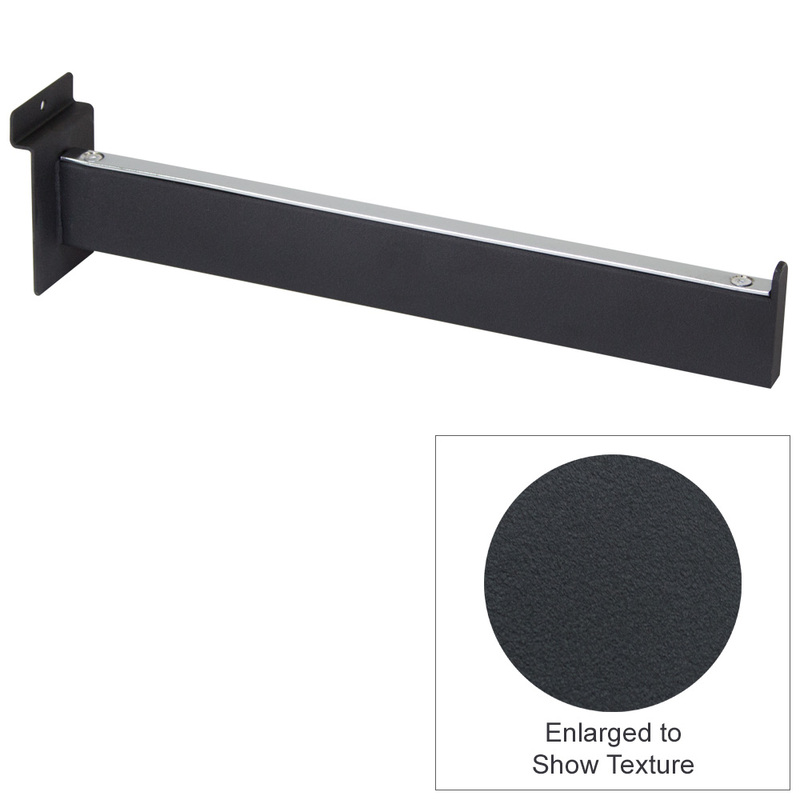 Rectangular Faceout for slatwall or slatgrid is great space saving solution for displaying a variety of merchandises. Facing out part measures at ½ in. W x 1 ½ in. H.